Husqvarna's PG 450 18" Electric Planetary Grinder Polisher with quick change multi-accessory disc is a powerful portable 115 volt surface preparation machine. The 240 lb grinder head removes quickly from the operating dolly for easy transporting. Rental fee does not include dust collection vacuum or accessory sets for grinding or polishing which are rented separately. Use Redi Lock diamond tool sets for general grinding, removing rain or trowel marks, rough uneven surfaces and light polishing on concrete, terrazzo and other stone surfaces. Use Husqvarna Flex Polishing pads and Hiperfloor treatment chemicals for high quality polished concrete surfaces. 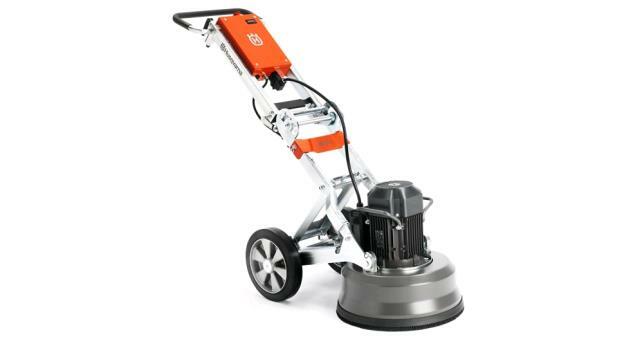 * Please call us for any questions on our concrete grinder polisher 18 inch 110v rentals in Portland OR, Gresham OR, Milwaukee OR, and surrounding metro area.